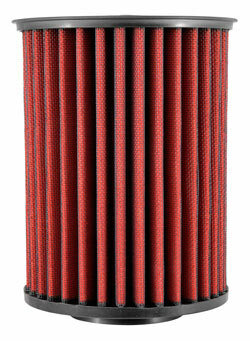 The AEM AE-20993 fits some Ford C-Max, Ford C-Max II, Ford Escape, Ford Focus, Ford Focus II, Ford Focus III, Ford Focus RS, Ford Focus ST, Ford Focus XR5, Ford Furuisi, Ford Grand C-Max, Ford Kuga, Ford Kuga II, Ford Tourneo Connect, Ford Transit Connect, Lincoln MKC, Mazda 3, Mazda 5, Volvo C30, Volvo C70 II, Volvo S40 II, Volvo V40 Cross Country, Volvo V40 II, Volvo V50, and Volvo V70 III models. See vehicle applications for details. AEM customer service is top notch, calling me shortly after my order to confirm. The filter arrived quickly and was an easy install. Gained maybe 1 MPG but definitely a smoother idle and better throttle response. Sound is about the same. As good as advertised. I put this on my brand new Focus ST. It was a perfect fit and is doing the job. 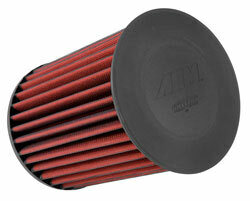 My Ford was vibrating at idle, installed the filter and voila, issue fixed. 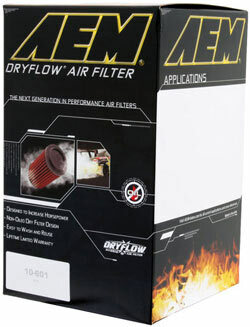 This is my second AEM dry filer and totally recommend it, and no it will not harm your engine - the fact that your warranty is not affected tells everything.